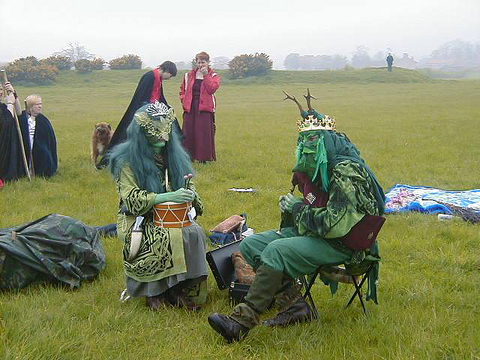 “The Stonehenge of the North,” as the Thornborough Henges are often called, is believed to be the largest religious ritual site in Britain, though what rituals they performed historians can’t quite fathom. The name of the monument derives from the nearby village of Thornborough, close to the city of Masham, North Yorkshire. This strange earthwork actually belongs to a huge henge structure, of which the Thornborough Henges is the most impressive one. In total, there are six big henges that have a similar design, spread within six miles of one another. The entire area is full of Neolithic monuments, while ritual evidence was found at the Thornborough Henges. From all of this, we can conclude that the henges were a very important and sacred place for the people from the Neolithic period, possibly a site for pilgrimage. The complex is composed of three nearly identical henges. The height of the henges is almost 10 feet, while the width of each of the circular monuments is approximately 787 feet. The banks of the henges are made from the earth dug from two separate ditches, one being outside the henge, while the second one was excavated inside. The distance between every henge is around 1,800 feet and they were not built in a straight line. Each of the three henges has two entrances, which puts them in class II henges, according to the classification rules. Some historians believe that the henges were used for astronomical purposes. Measurements show that the henges are perfectly aligned with the three stars of Orion’s belt. This could be the first monument in the entire world aligned to the constellation of Orion, built 1,000 years before the others. Many other ancient locations on the globe were also built in this alignment, among which are the Pyramids of Xian, the Pyramids of Teotihuacan, the sites of the Hopi tribe in Arizona, and the Great Pyramids of Egypt. Although we know a lot about the morphology of the Thornborough Henges and other Neolithic monuments, they still remain a mystery, as their purposes can’t be confirmed. Many theories exist, with some including the inevitable extraterrestrials. 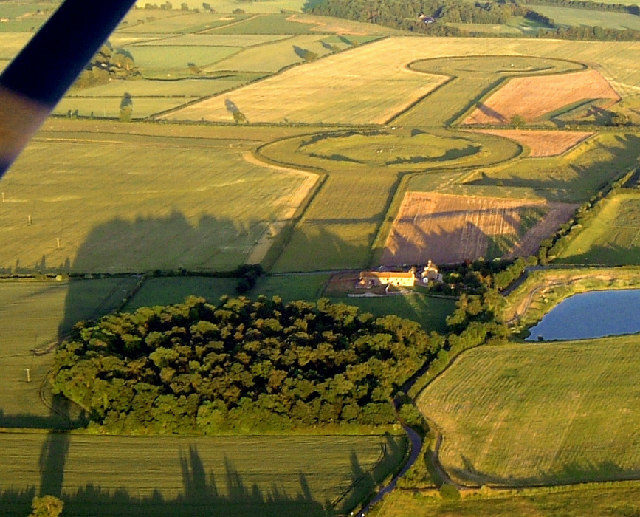 The most preserved henge at Thornborough is the northern one, with its banks still pretty high and its ditches deep. The two entrances of this henge are clearly visible, although the henge is covered with trees. The remaining two are badly damaged, but their henge shape is still recognizable. Excavations on the site show the banks of the henges were once covered with gypsum, which was mined in a nearby location. With the gypsum color being white, the henges were probably shiny and visible from afar, probably even by night. The Thornborough Henges are listed as scheduled monuments, which in the United Kingdom means they are protected by unauthorized change and are declared as national monuments. The land where the henges are located is now a private property, with no public access officially allowed. With the monument being in a quarrying area, the henges were heavily damaged by the nearby works. The company that operates the nearby quarry, Tarmac Northern Ltd., expressed wishes in 2002 to extend their operations to a position which is less than a mile away from the henges. Meanwhile, a group of concerned people and archaeologists made an appeal to the North Yorkshire County Council, asking for a denial of the quarrying plans. Tarmac’s application was denied in 2006, even though the company made promises not to harm the ancient monument. 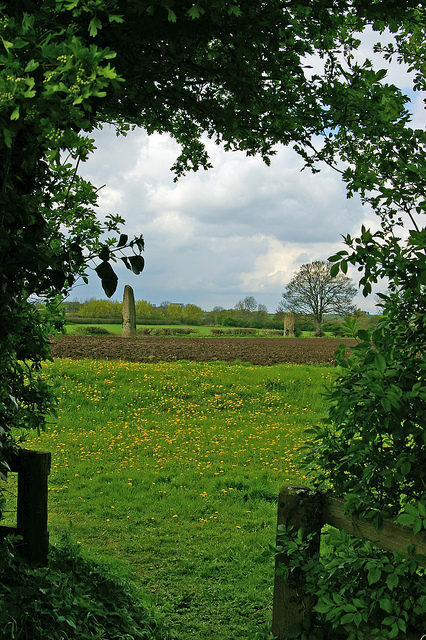 In 2016, the North Yorkshire County Council gave Tarmac approval for further operations, and in return, the company must hand over to the public body the Thornborough Henges and 90 acres of land around them. By this, the preservation of the monument has been ensured, and generations will be able to admire the colossal man-made wonder.